We recently completed the media campaign below for Willington Nameplate. 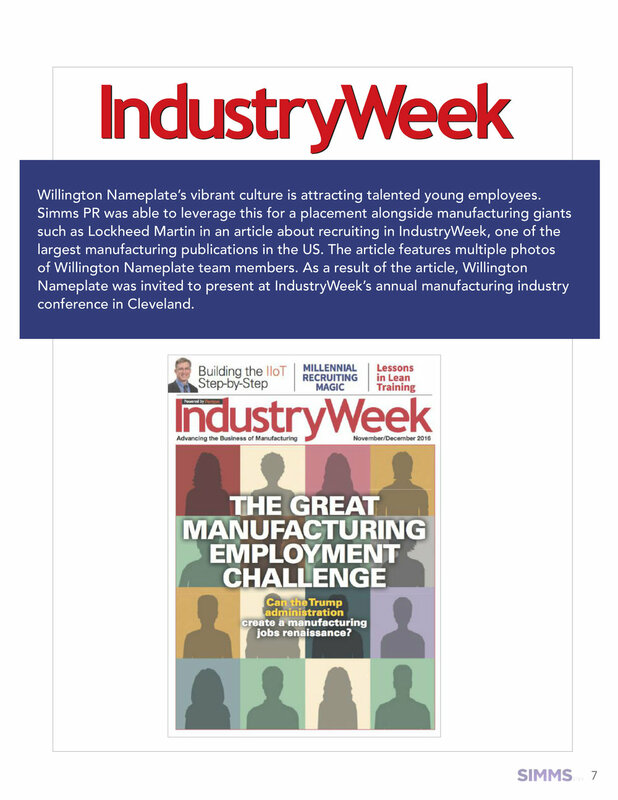 Not only is it a great example of our work in the manufacturing field, but it also showcases how high-profile and detailed media placements can be obtained by focusing on who an organization is and what it stands for. Look for links below the slides to view the full stories on the media outlet websites. Read this article on the Hartford Courant website. Read this article on the Processing website. Read this article on the Hartford Business Journal website. Read this article on the Aerospace Manufacturing and Design website. Read this story on the IndustryWeek website. Read this story on the Hartford Business Journal website. Read this story on Forbes.com.